2YSLCYK-JB+3 is a double shielded, large gauge size, PVC motor supply cable with a black PVC UV-resistant outer jacket and three (3) symmetrical ground wires. 2YSLCYK-JB+3 is a double shielded, large gauge size, PVC motor supply cable with a black PVC UV-resistant outer jacket and three (3) symmetrical ground wires. Polyethylene insulation over a very fine copper strand provides a low-loss transfer of power, excellent low capacitance performance and superior flexibility when compared to conventional PVC cables. 2YSLCYK-JB+3 applications include frequency converters, motor runs and in connections with high electromagnetic interference. Found in the automotive, paper and food industry, environmental technology, packaging industry, machine tools and handling equipment. The overall foil and tinned copper braid shield offer excellent protection against electromagnetic and electrical interferences. 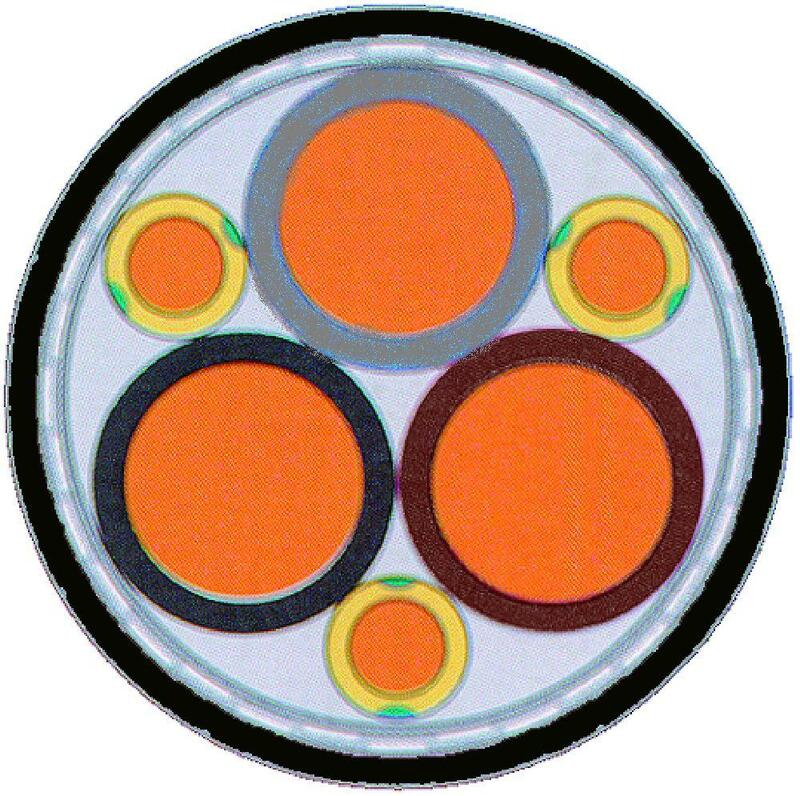 This version substitutes the common single green/yellow ground wire for three (3) symmetrical green/yellow ground wires for improved EMC characteristics. For medium mechanical stresses found indoors in dry, moist or wet areas. The black UV-resistant jacket allows for outdoor use and for direct burial applications.should be used in outdoor applications.